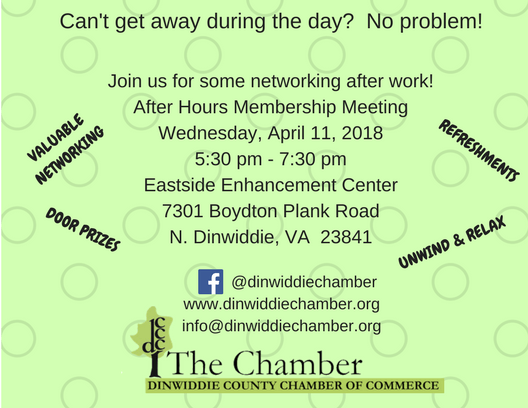 Our April membership meeting will be an after hours event!! Now, those of you who can’t get away, won’t miss out on valuable networking opportunities. So mark your calendars now and join us for a bit of relaxing and networking before you head home! ← 2018 Scholarship Application now available! !